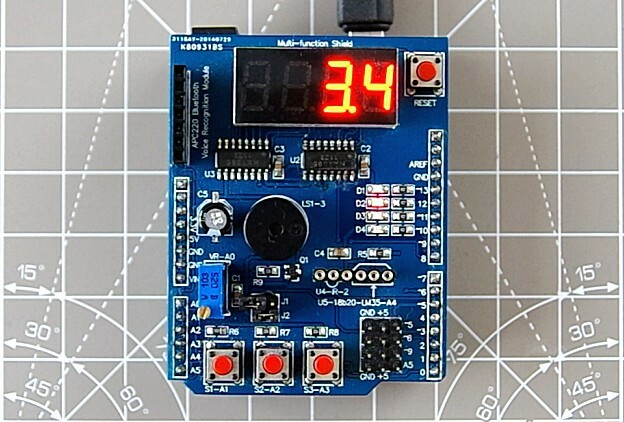 An Arduino metronome sketch is available for the Multi-function shield. It allows music students to work on their timing skills by displaying and sounding a beat, where the BPM rate and time signature are configurable by the user. The sketch is also accompanied by a short video demonstrating its features. This entry was posted in Arduino, Hackatronics on 2016-01-24 by Kashif Baig.